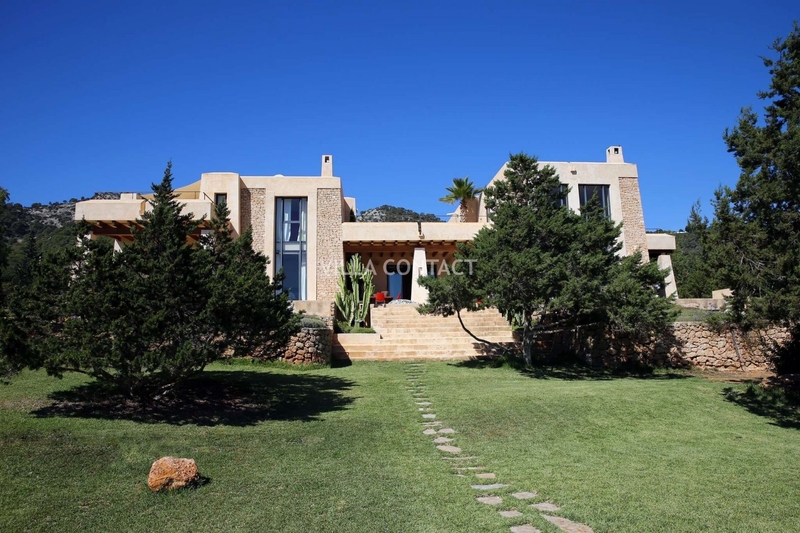 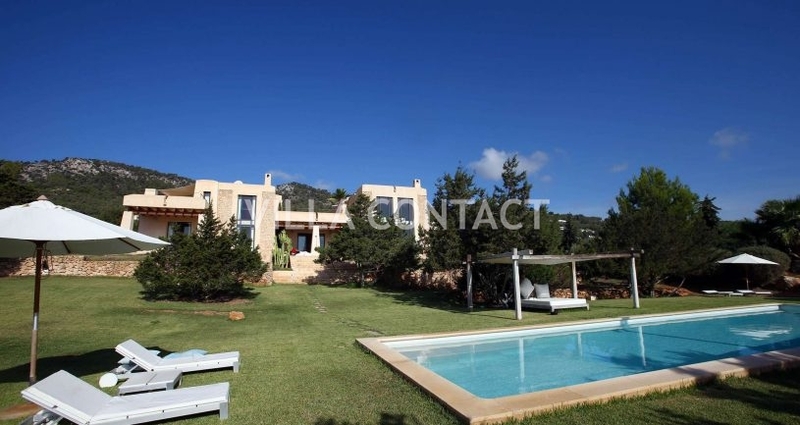 Stunning fortress like 4 bedroom villa situated in the valley of Es Cubells with large gardens, private pool and breathtaking sea views. 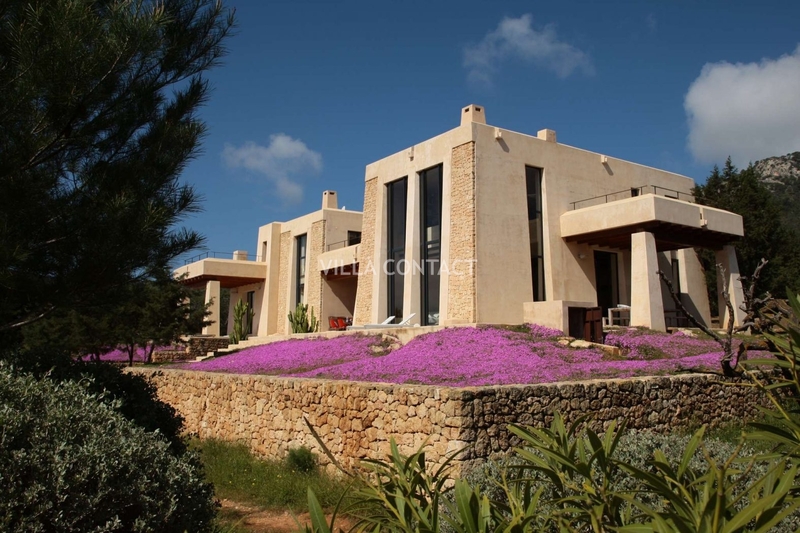 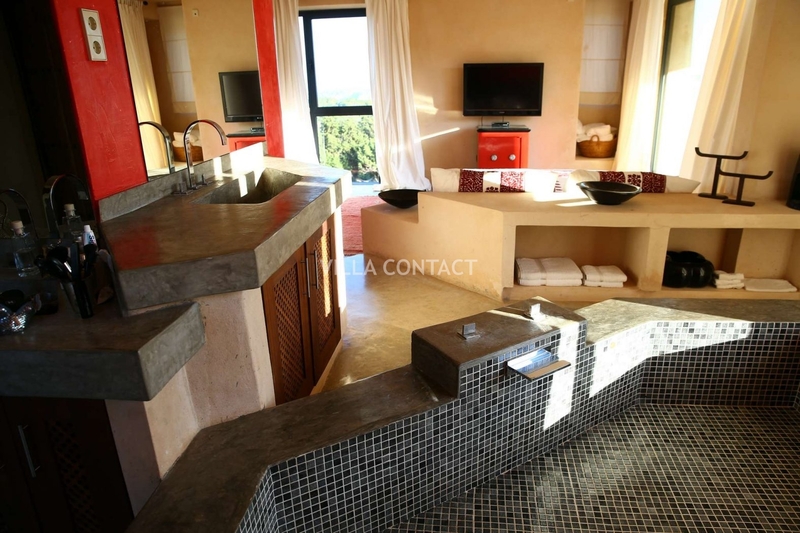 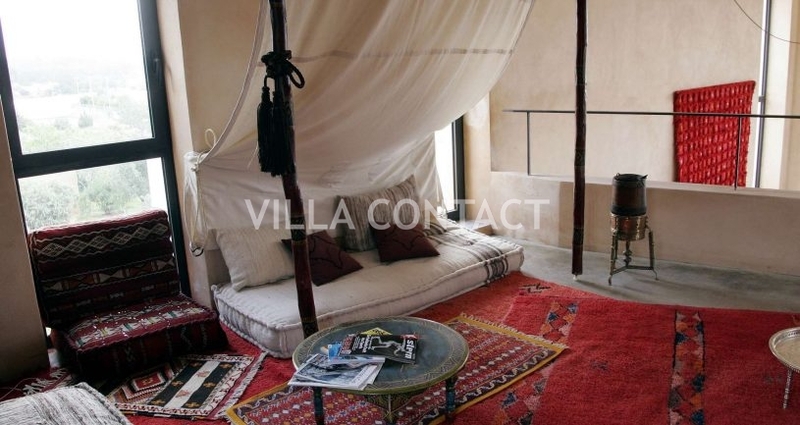 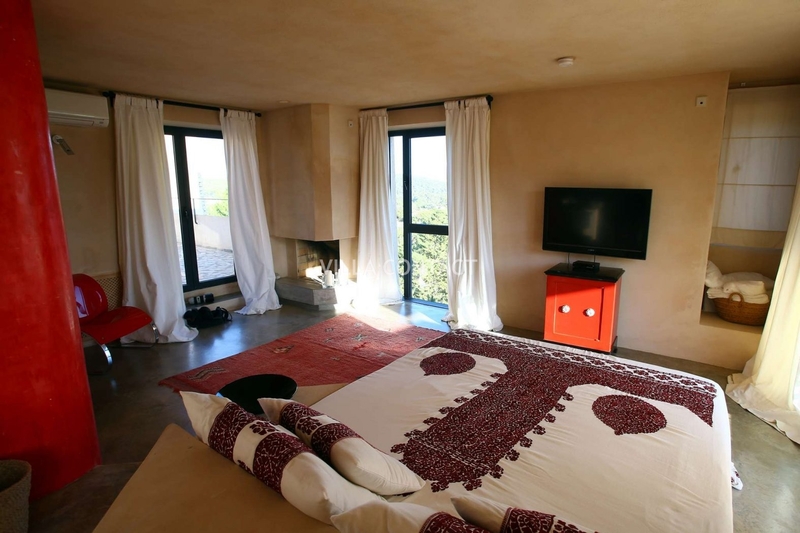 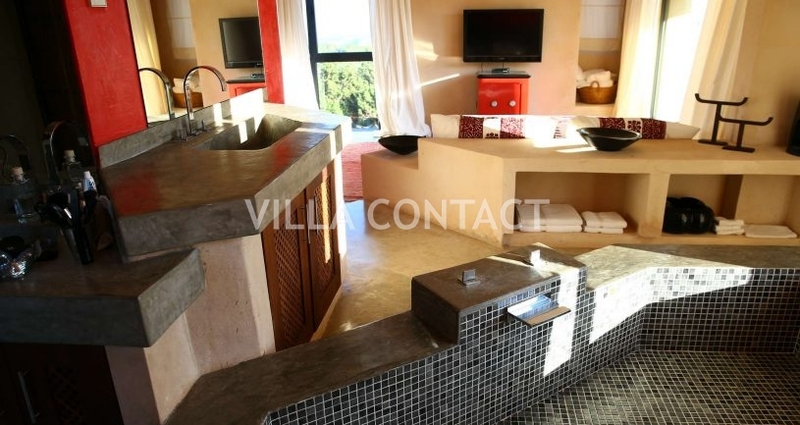 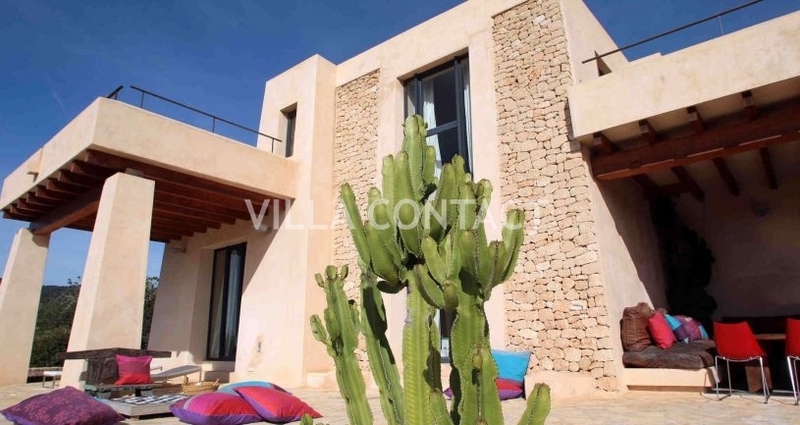 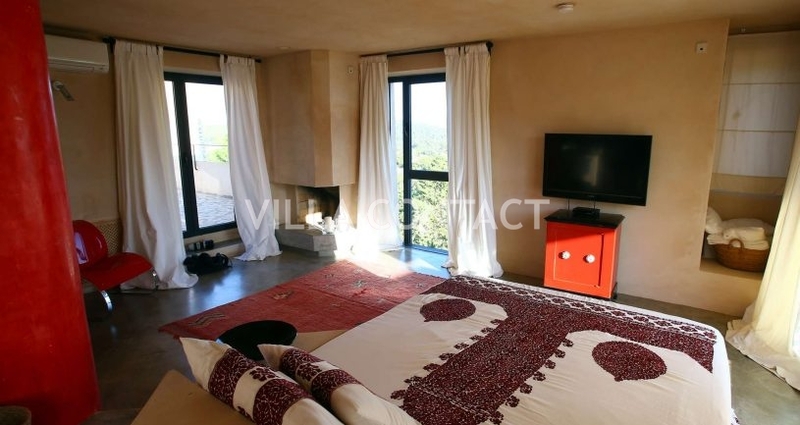 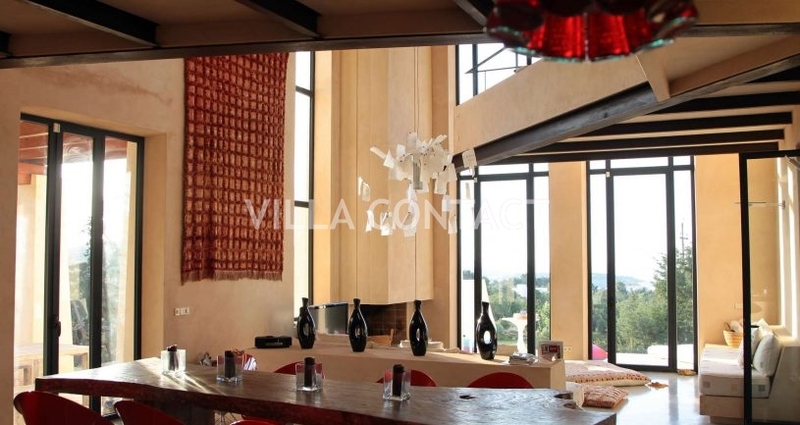 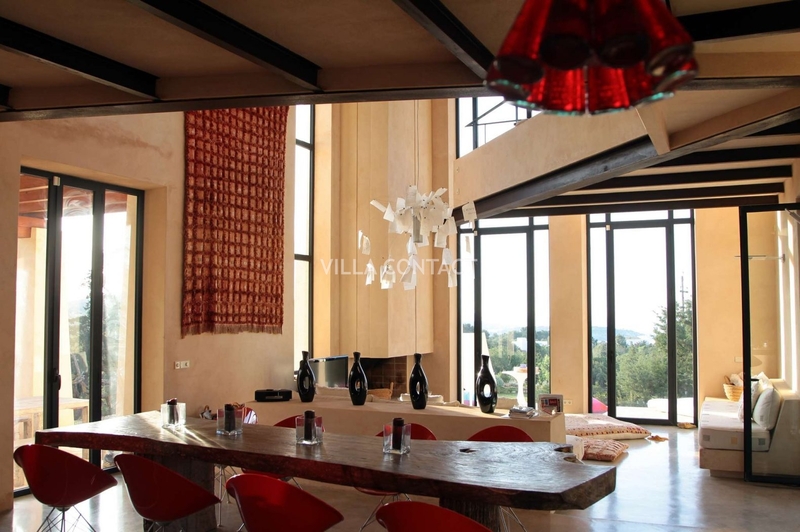 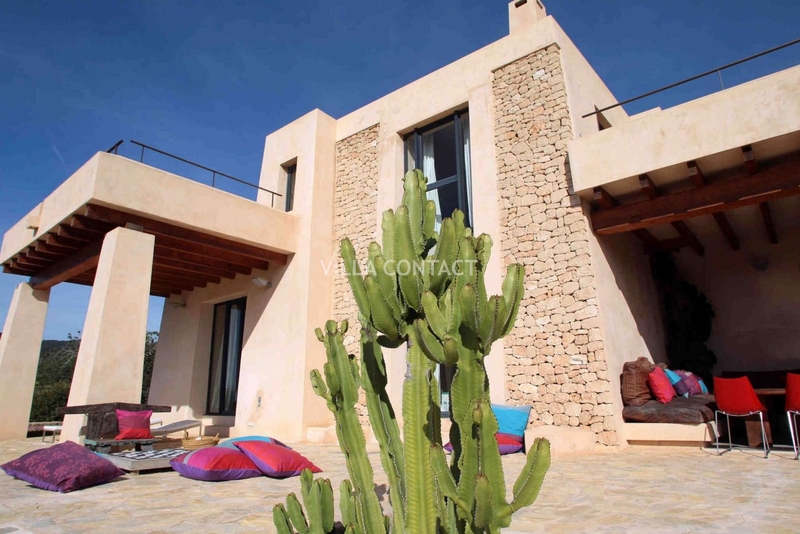 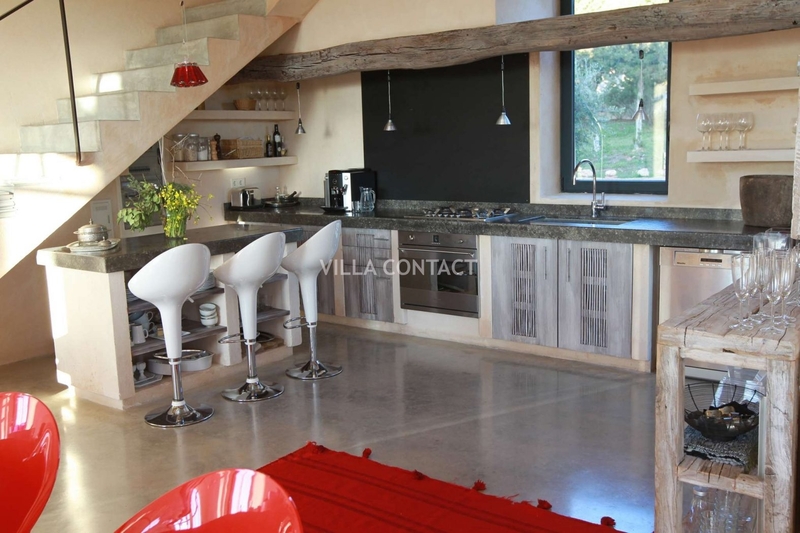 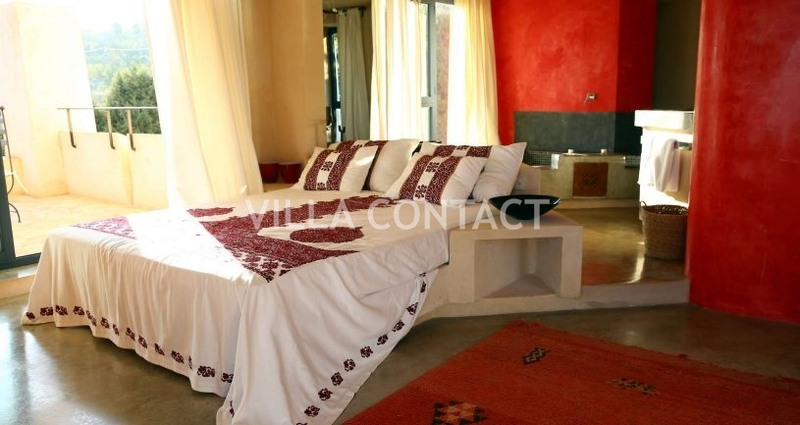 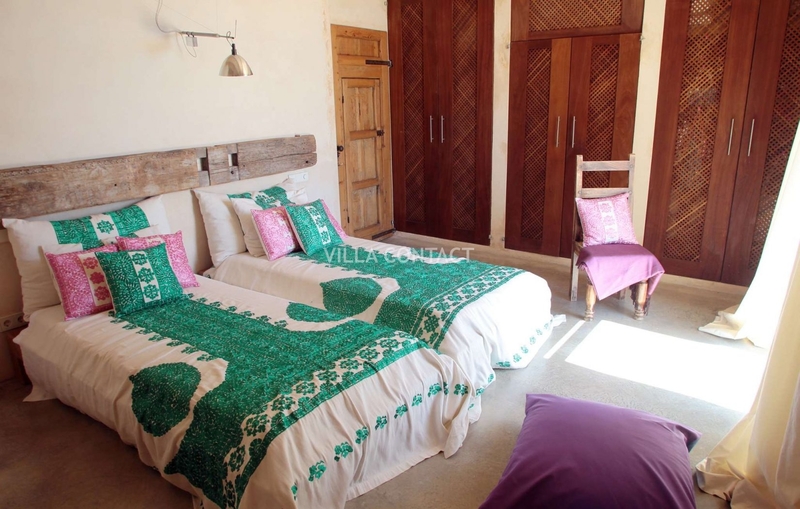 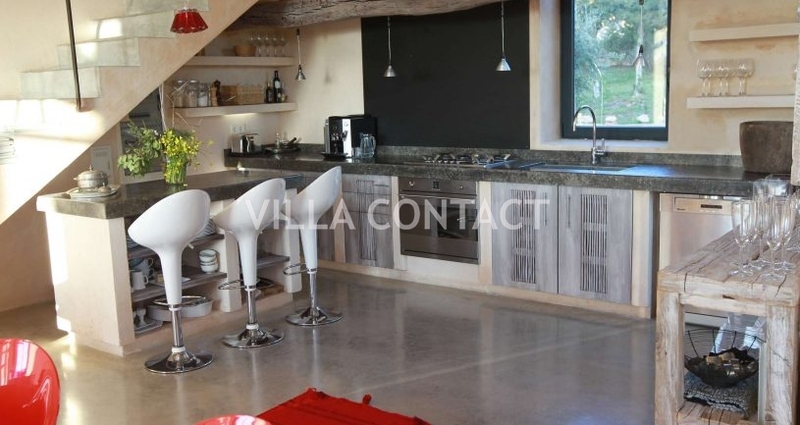 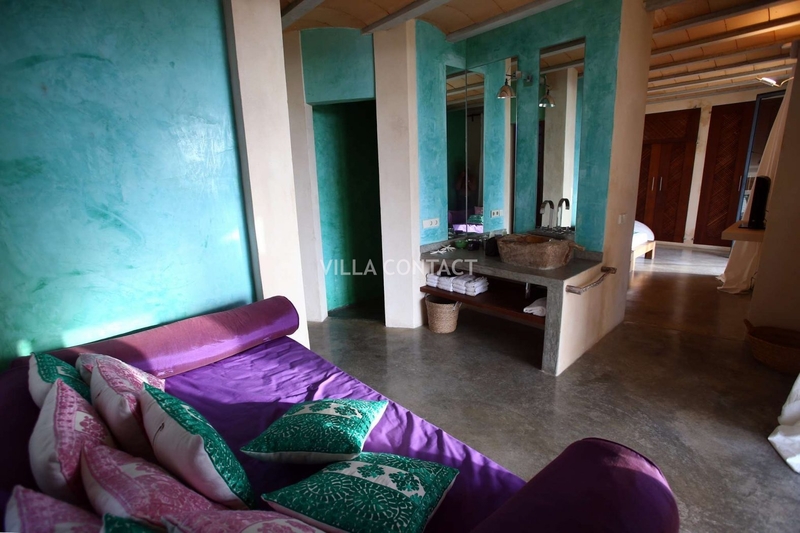 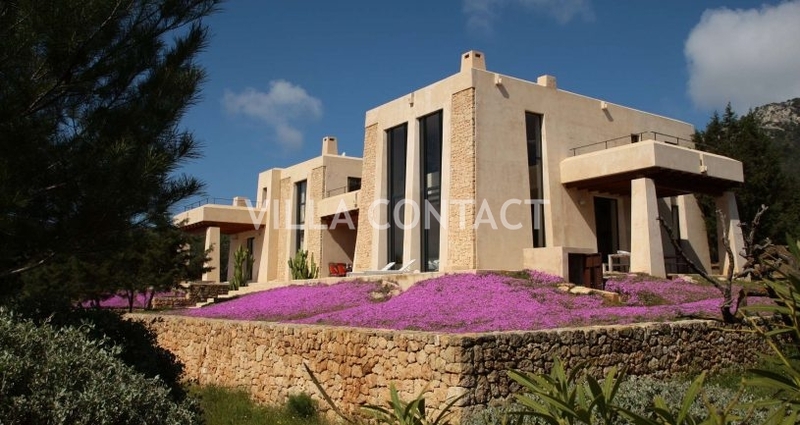 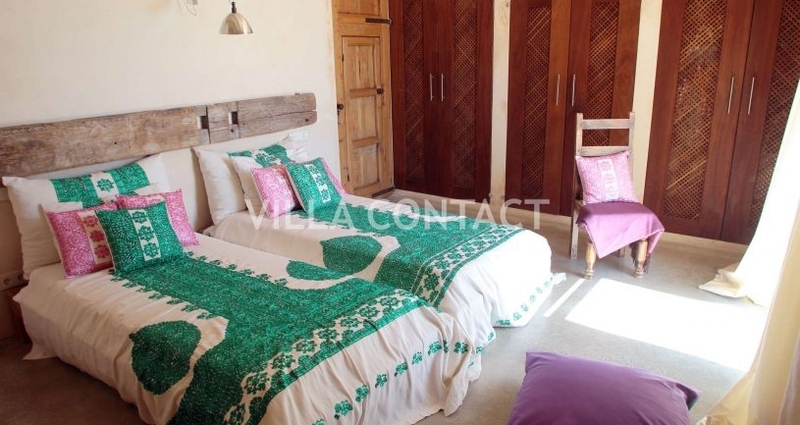 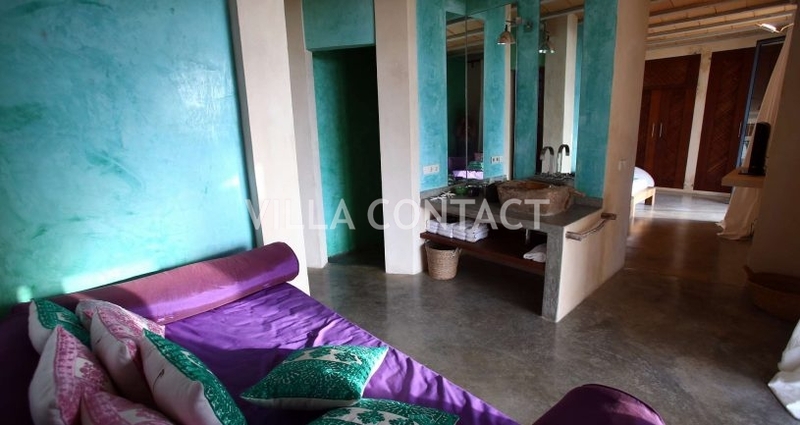 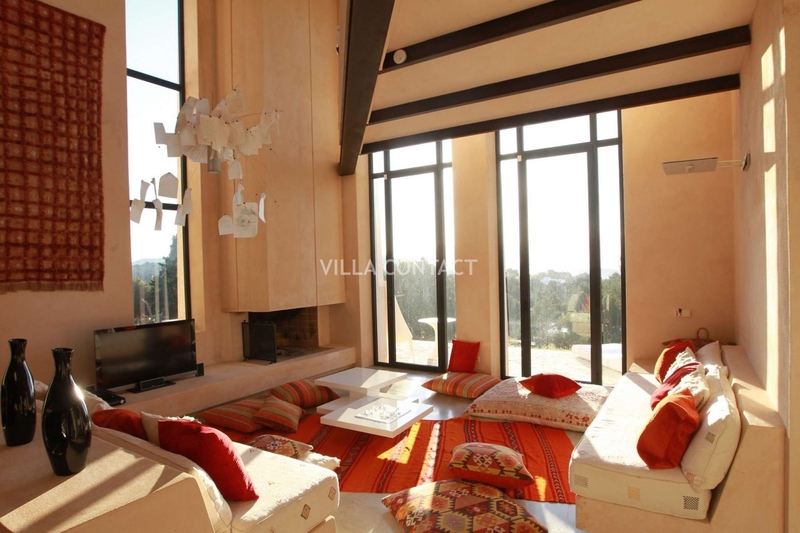 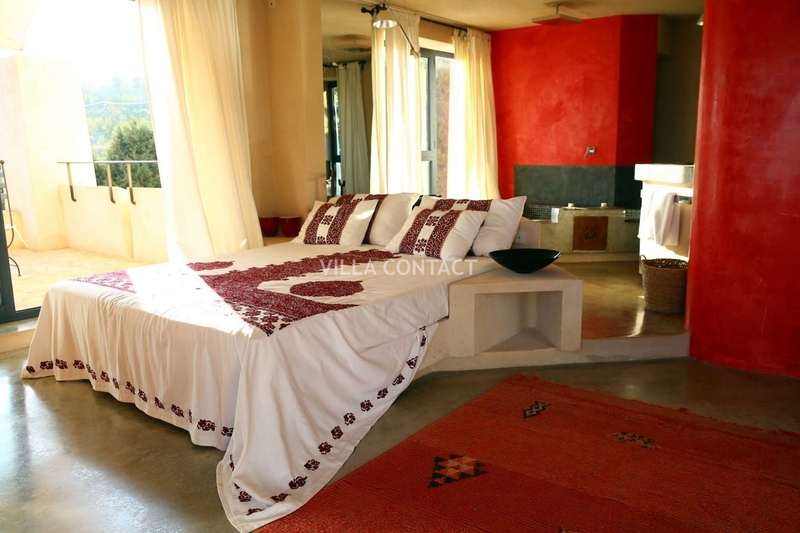 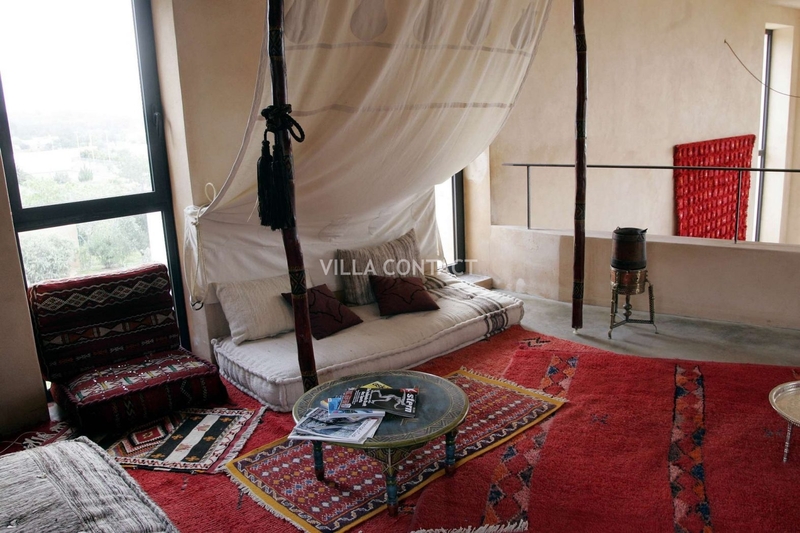 This comfortable and cosy villa has been designed with great thought and detail and combines Moroccan features with the use of raw materials such as exposed stone, wood, and polished cement floors with designer furnishings. 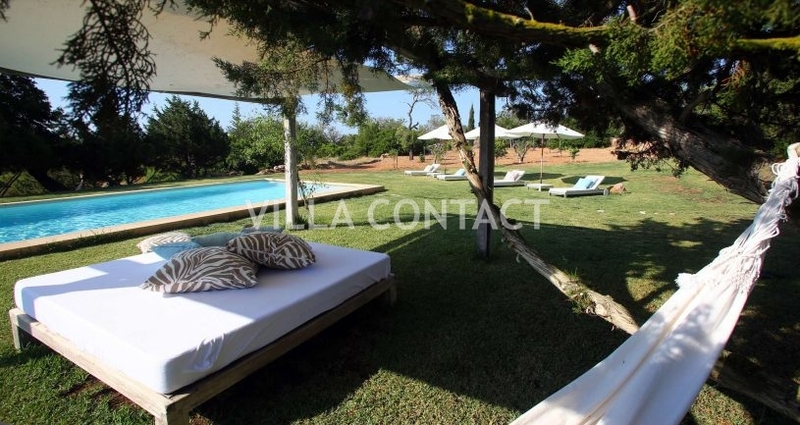 The property offers privacy and a peaceful garden and pool area to enjoy the lazy afternoons by the pool and the outdoors. 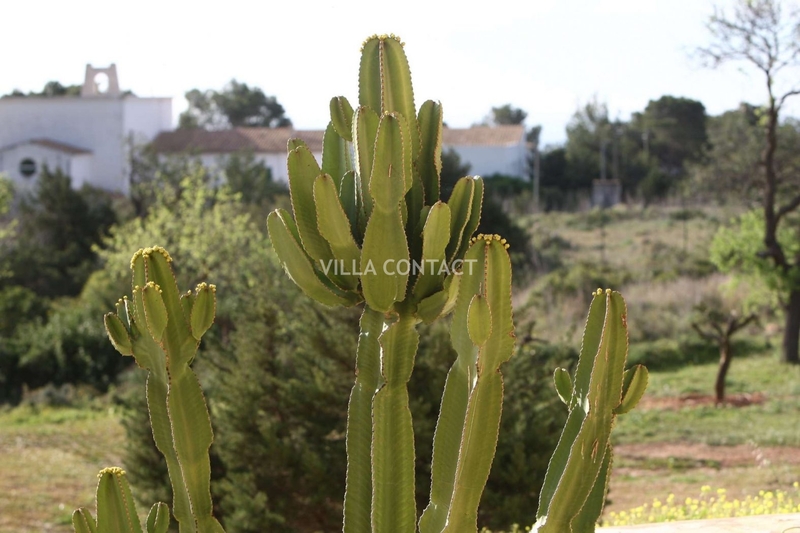 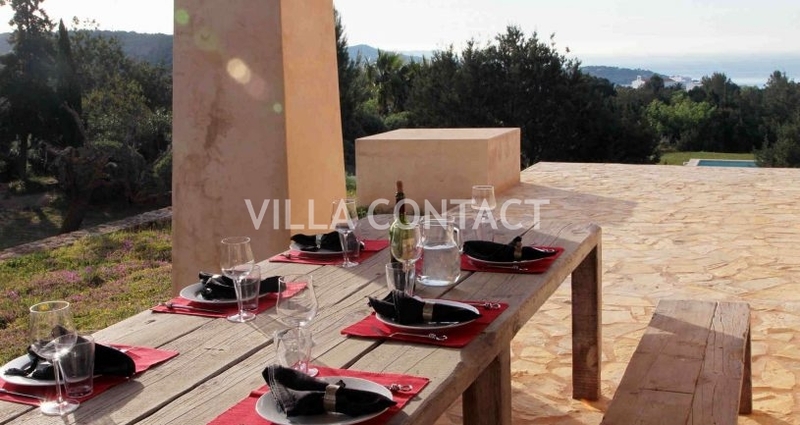 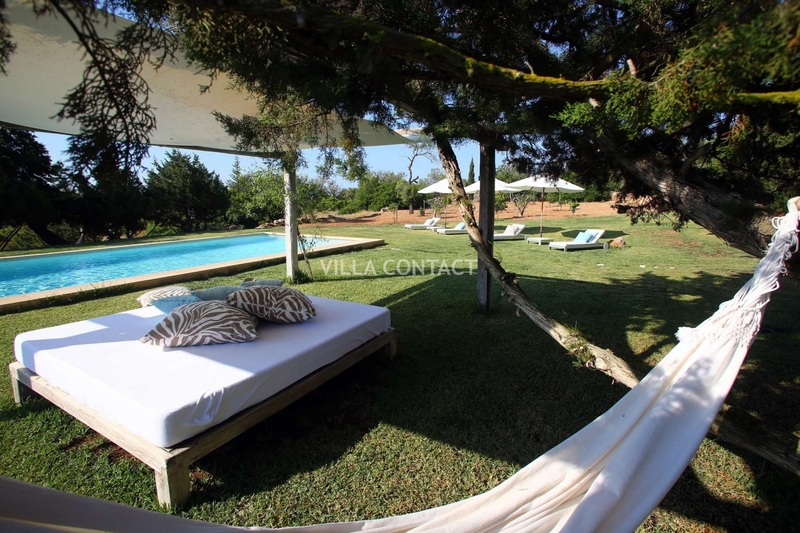 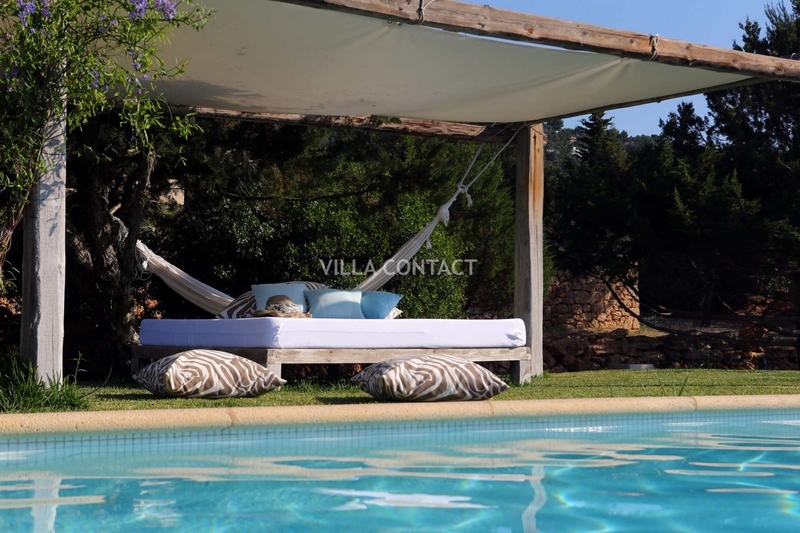 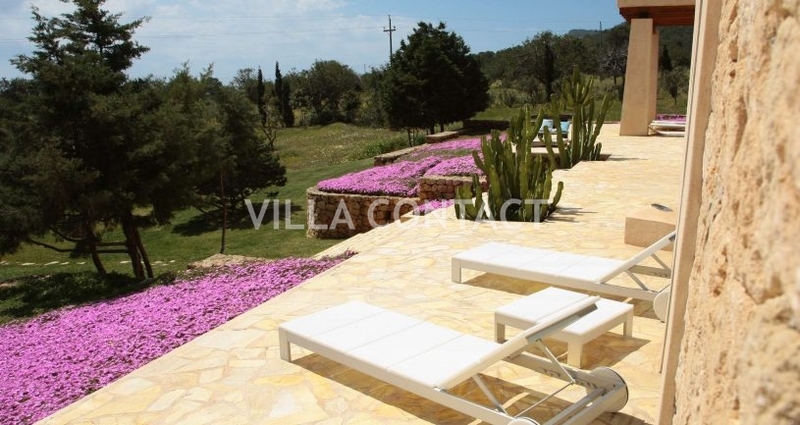 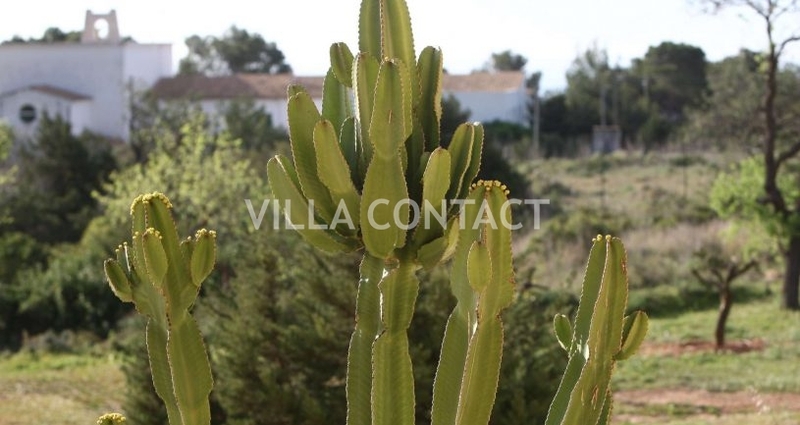 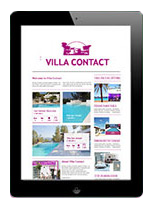 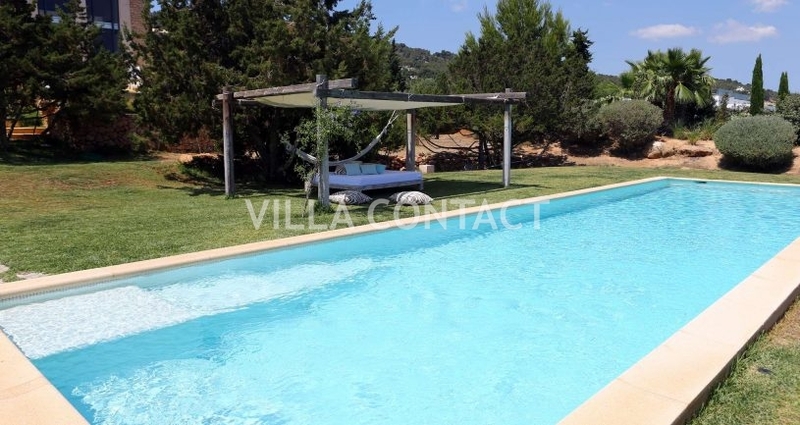 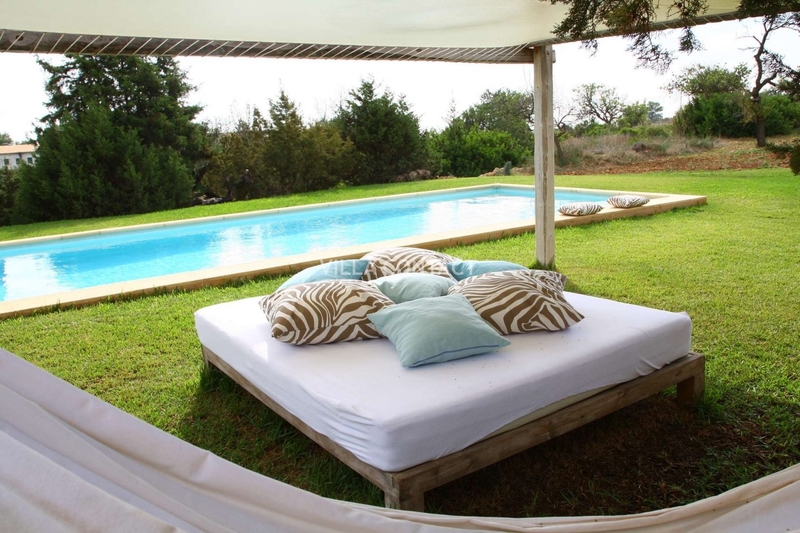 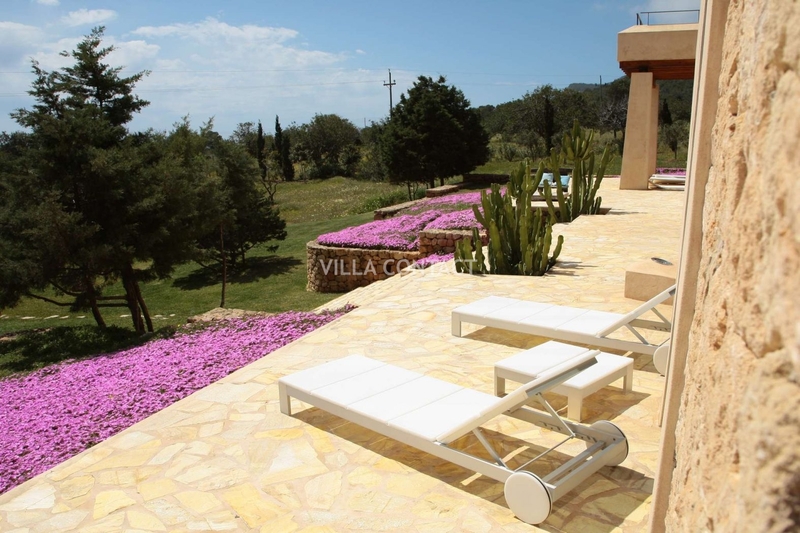 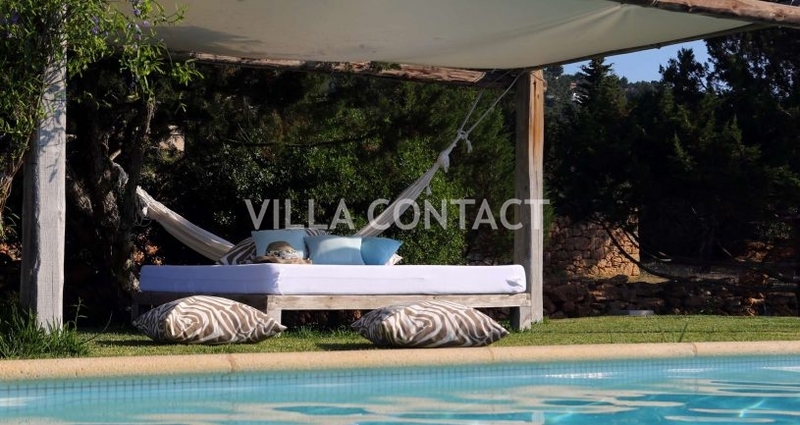 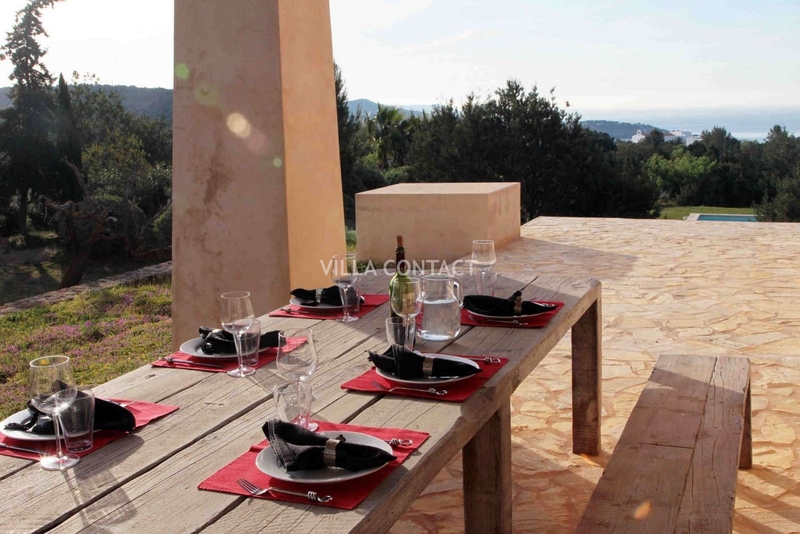 The villa is a short drive away from all the popular beaches of the south and a 5 minute drive away from the popùlar Ses Boques seafood chiringuito.